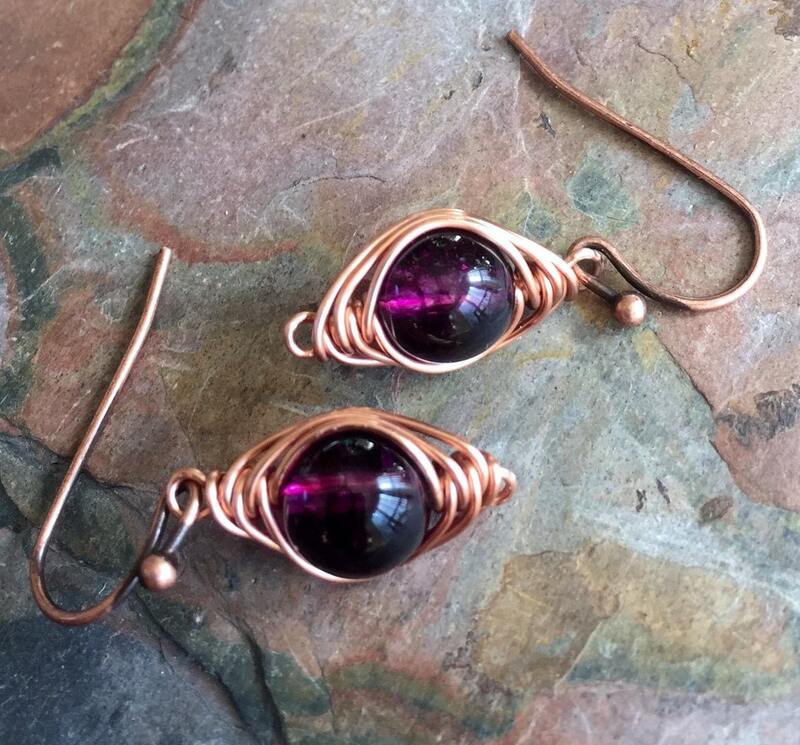 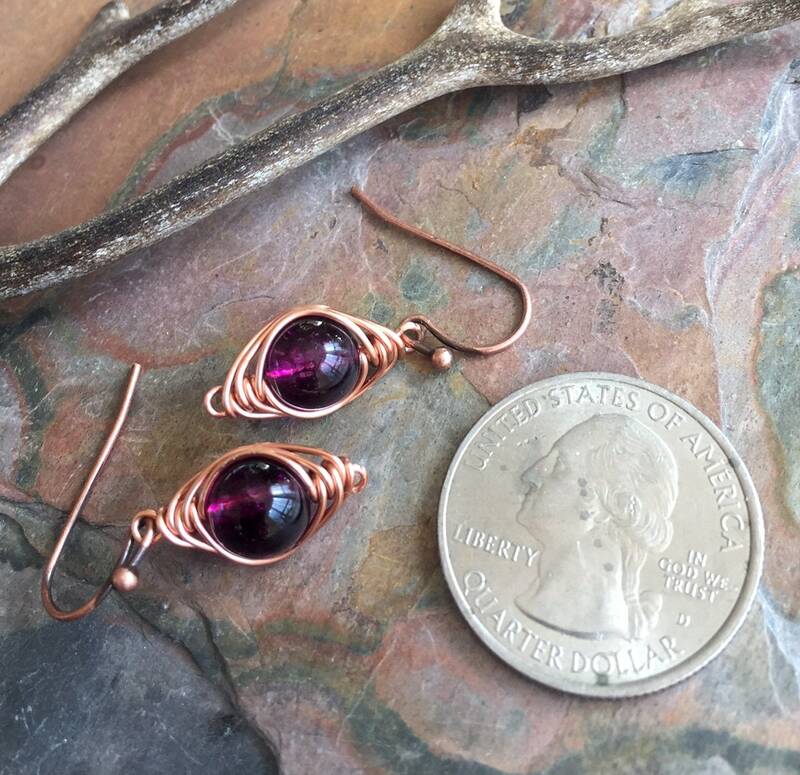 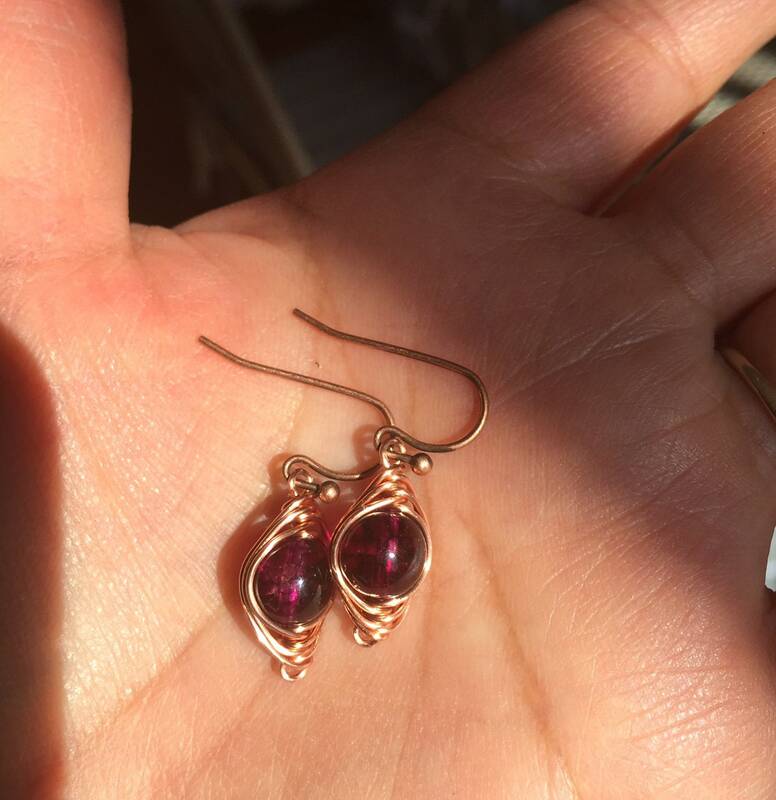 These fabulous earrings are hand wrapped intricately with 8 mm beautiful hot pink tourmaline using copper wires in herringbone weave style. 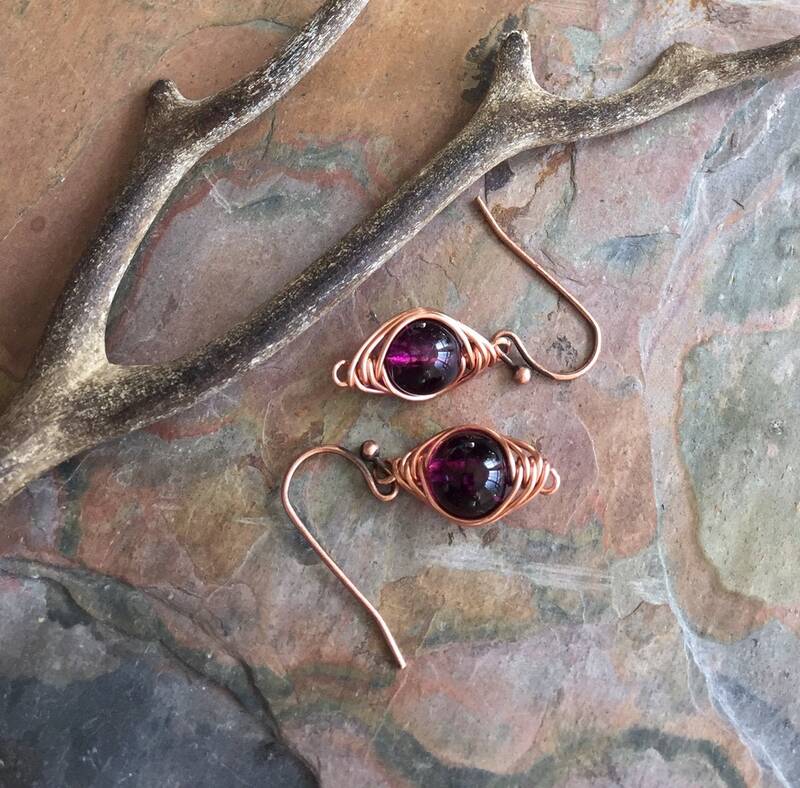 They dangle freely about 5/8 inch from the bottom of the antiqued copper french earwires. 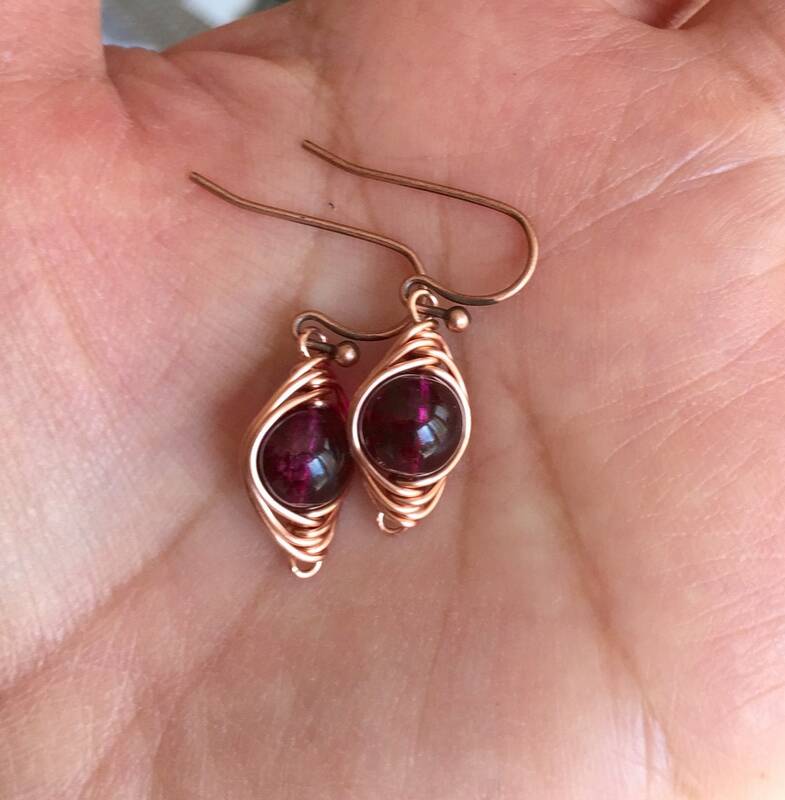 They are sure to become your favorite pair.